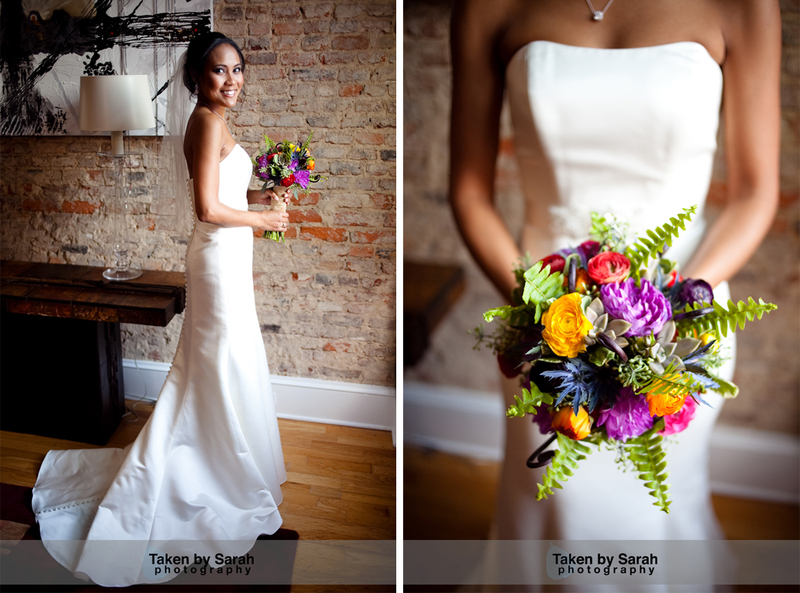 Michelle was looking for a traditional southern wedding with an antique feel. We used a mixture of roses, hydrangea and thistle in beautiful antique silver vases to compliment the exposed brick walls of The Balcony on Dock. 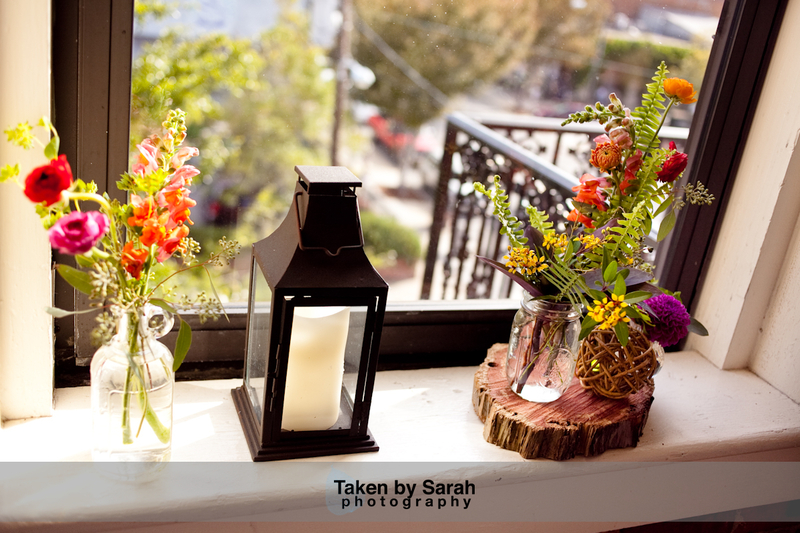 A special thanks to Social Butterfly Events, The Balcony On Dock and Bella Rose Photography. 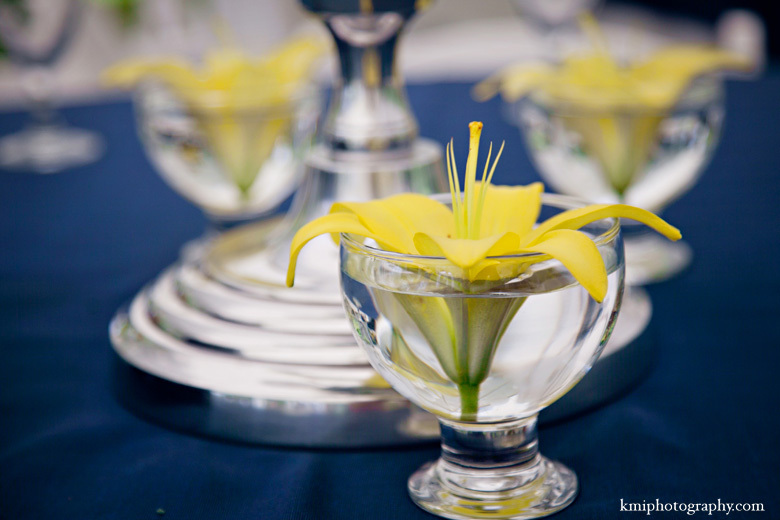 Lydia asked for something that her guest would remember, the NC Aquarium @ Ft. Fisher was the perfect location for this unique wedding. 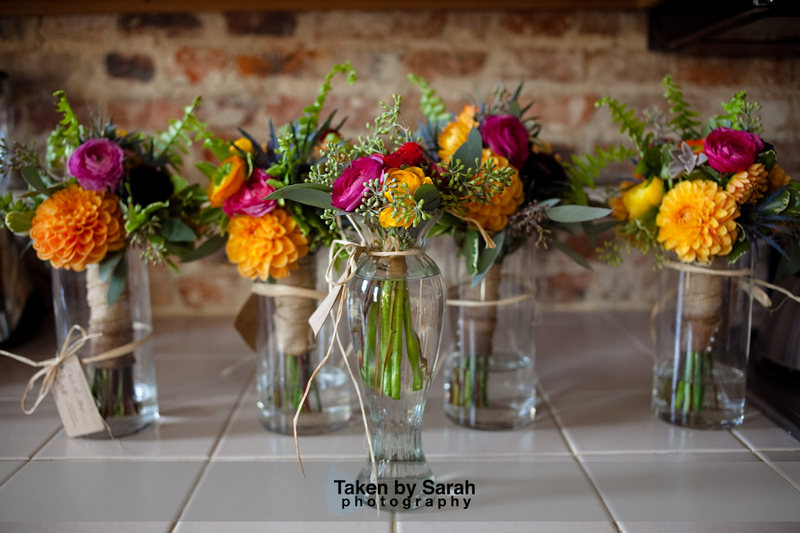 A combination of Fern Curls, Protea and Orchids provided an explosion of color for bouquets and centerpieces. A special thinks to Tom Sapp Photography and NC Aquarium @ Ft. Fisher. 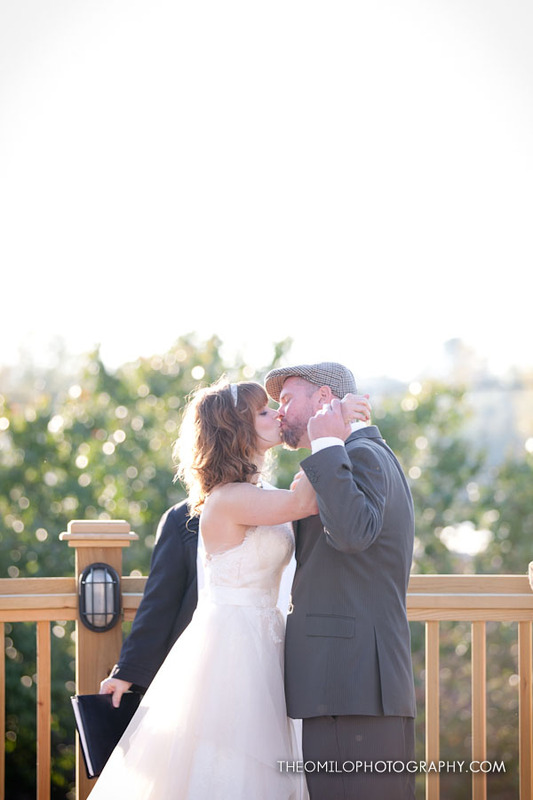 The Balcony on Dock provided the perfect setting for JoAnn and Jay’s fall wedding. 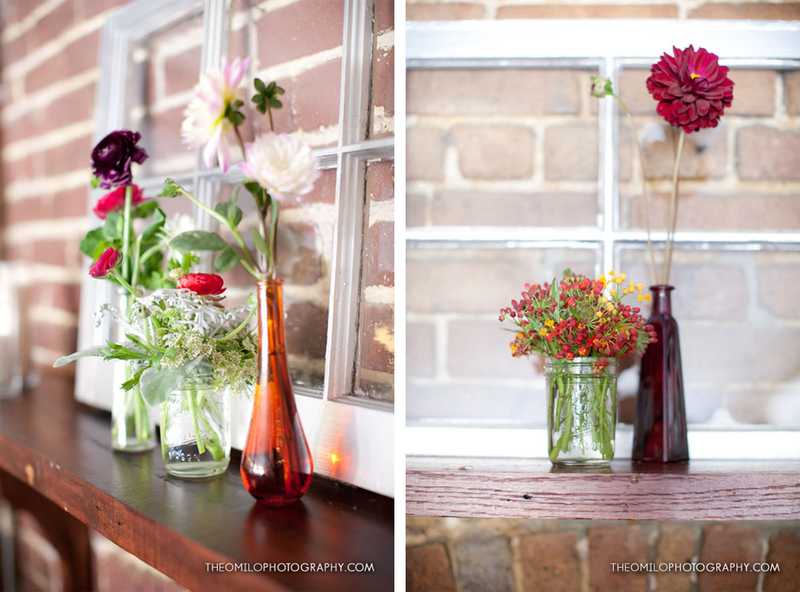 The brightly colored dahlia’s combined with an eclectic mix of bottles and lanterns complimented the exposed brick. 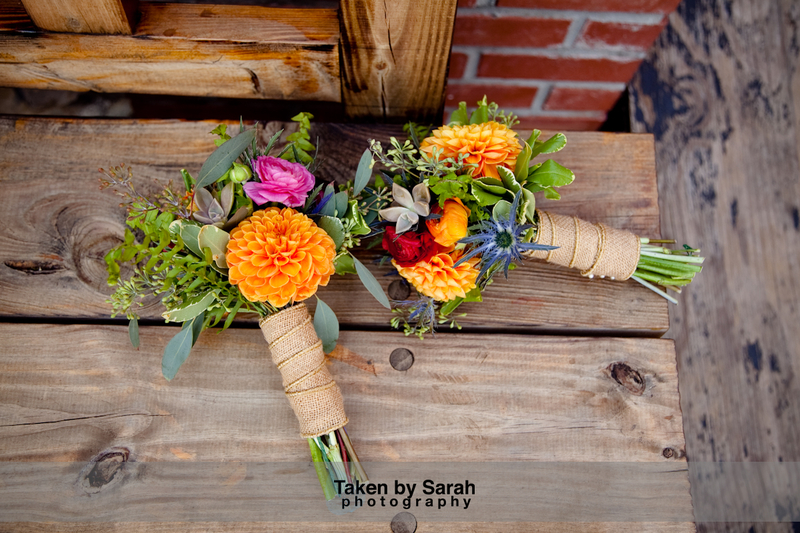 The flower girls carried moss covered baskets filled with bright colored roses. Congratulations to JoAnn and Jay! Most of our brides become family but this special wedding was family. Jean’s son Michael married sweet & beautiful Brooke at his family home. 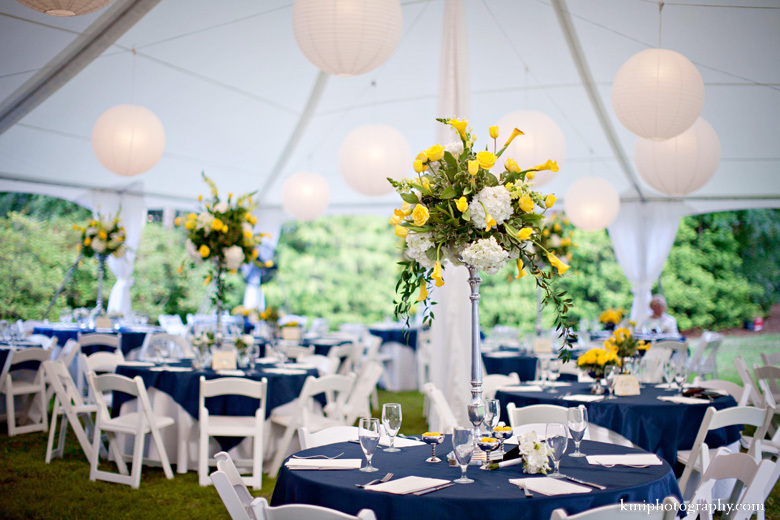 From silver vases filled with bright yellow floral arrangements to hydrangea filled cones lining the couple’s walk way no detail was left out. Congratulations Brooke & Michael! Congratulations to Brooke and Michael! A special thanks to Social Butterfly Events, A Southern Thyme Catering Company, Brickstreet Cinema, Party Suppliers & Rentals & KMI Photography. 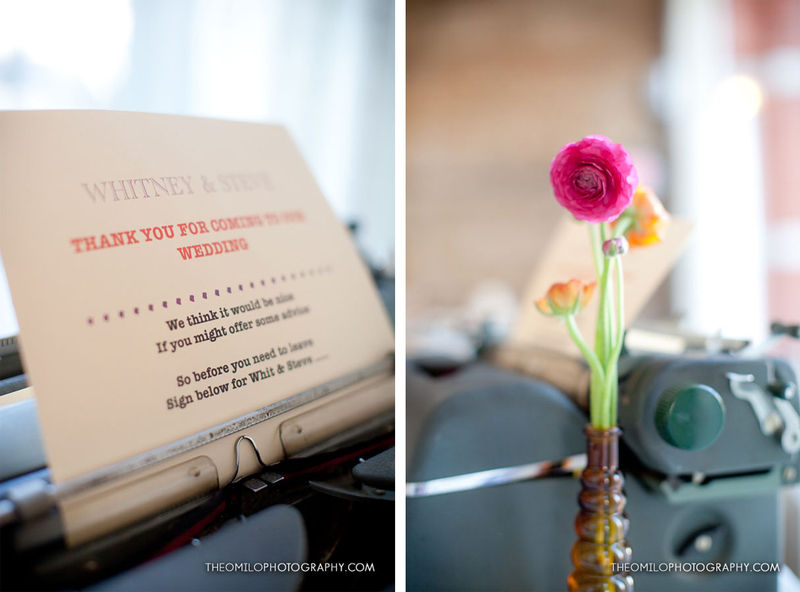 128 South provided the perfect setting for Whitney and Steve’s vintage wedding. Whitney was looking for a vintage farmer’s market look. 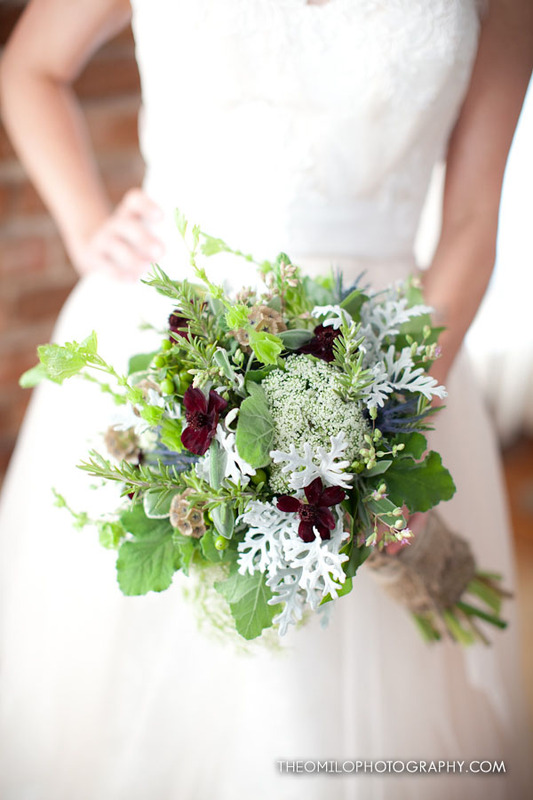 We loved her very unique bouquet, she chose herbs, berries and chocolate cosmos. 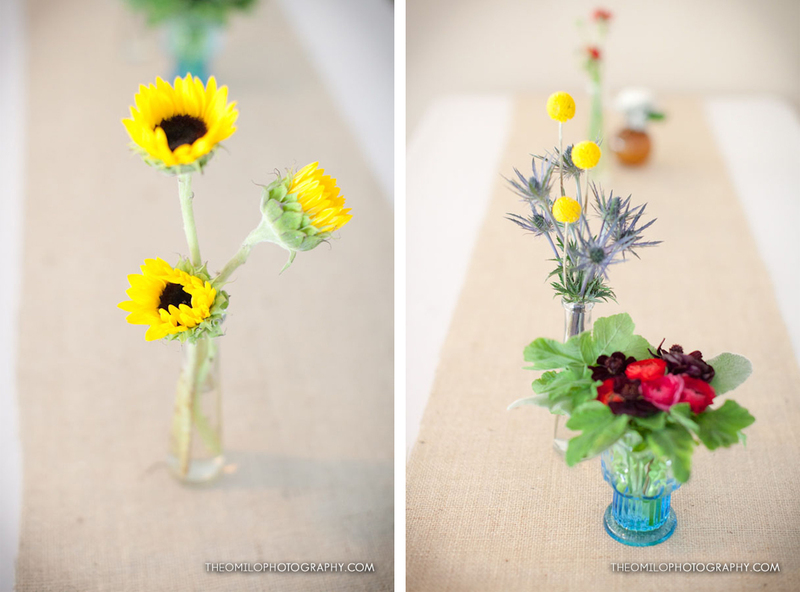 Sunflowers and billy balls in mason jars and vintage vases completed her look. Congratulations to Whitney and Steve! 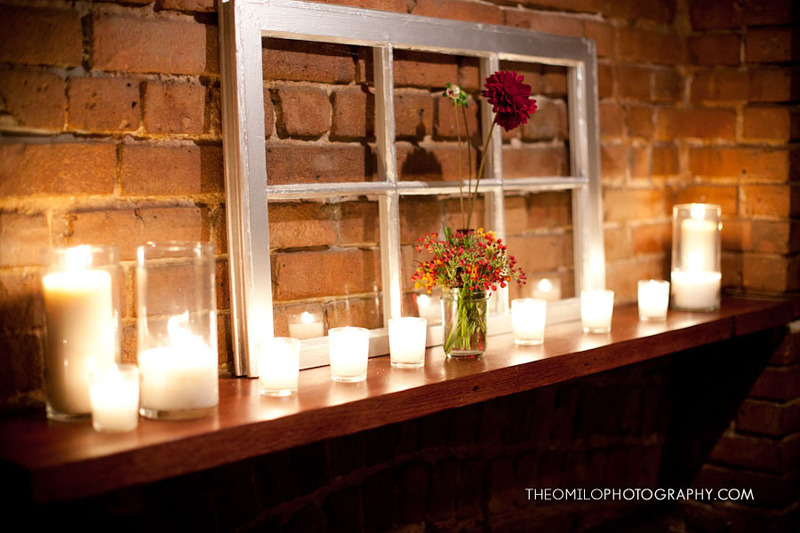 A special thanks to Theo Milo Photography, 128 South and A Shindig Events. 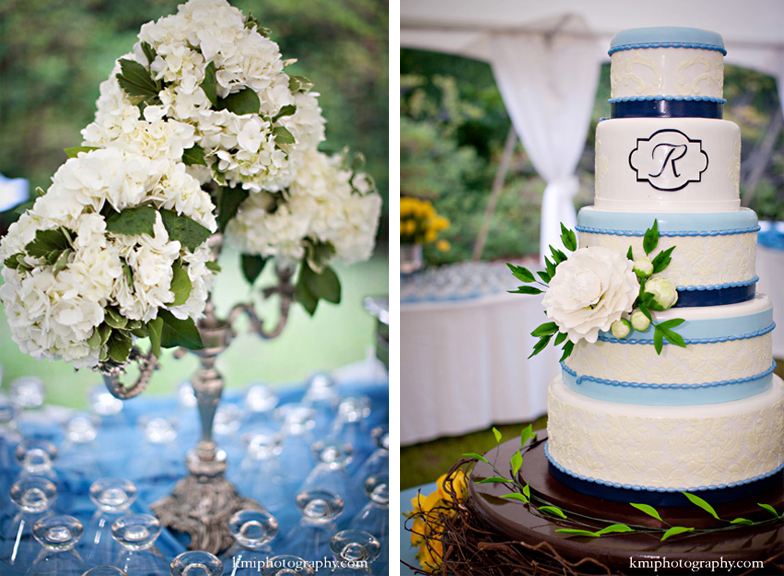 Rachel and Douglas searched high and low to find the perfect setting for their intimate and Southern soiree. 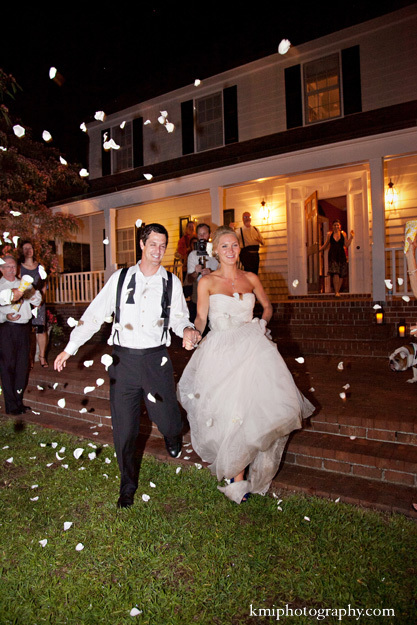 In the end, this Virginia couple decided what better place than the Groom’s backyard on Wrightsville Beach? Complete with outdoor nuptials and water views, lush floral displays, lanterns, mason jars and a stylish tabletop runner, this event is certainly full of charming details. Congratulations to Rachel and Douglas! Special thanks to Social Butterfly Events, High Performance Lighting, and Imaginary Cakes. 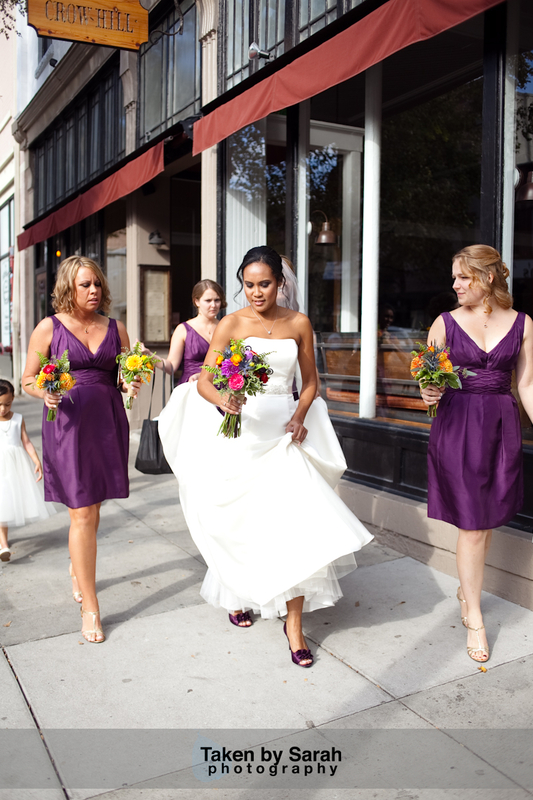 This super-sweet bride came to us with a childhood dream; she wasn’t sure of all the details, but she knew she wanted to carry Lily of the Valley down the aisle. We were honored to bring her dream to life and happy to help fill in the blanks. The couple also knew they wanted to host the reception on Wrightsville Beach; the old mailbox on the north end was the place where Eric had proposed. We love how they shared the memory of their proposal by using a new mailbox in lieu of a traditional guest book. Congratulations to Cathleen and Eric! Special thanks to KMI Photography, St. Mary’s Catholic Church, Holiday Inn Sunspree Resort, High Performance Lighting, Active Entertainment. 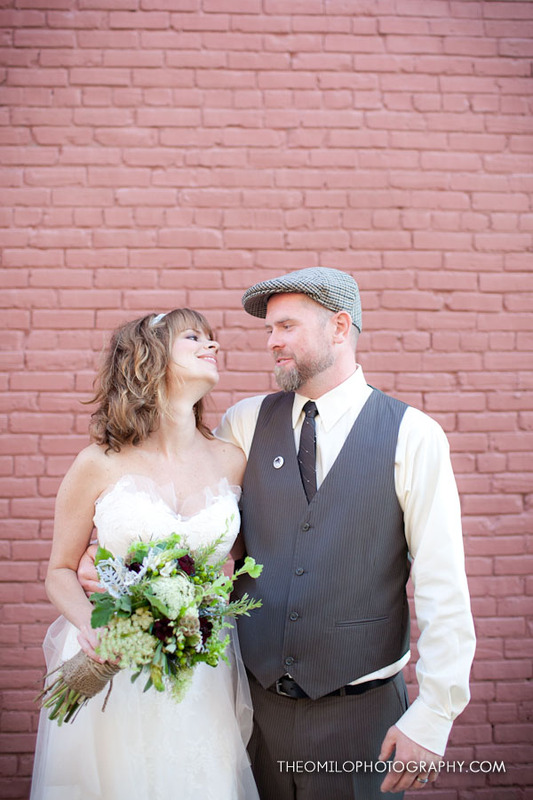 These Ohio natives came to Wilmington full of fun and style and ready to tie the knot. Their vintage and eclectic aesthetic is so sweet and personal that it won the hearts of the blogging gurus at Style Me Pretty earlier this year. 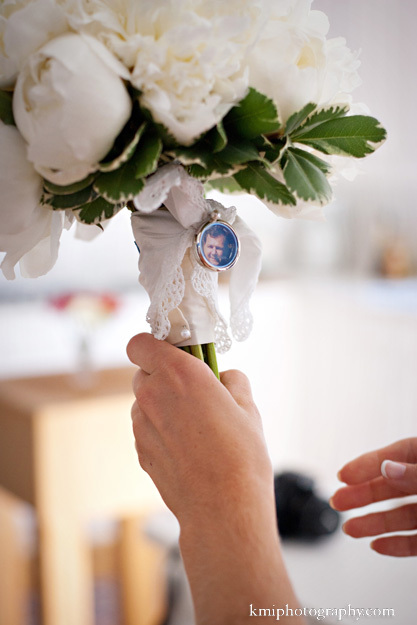 One of our favorite details is the charm bracelet around the bride’s bouquet; it was handmade by her family! The groom adds his own flare with brightly colored, polka dotted socks. Joanna and Jesse brought sunshine to a rainy day and exchanged vows in a small chapel tucked away in Airlie Gardens. Congratulations to Joanna and Jesse! 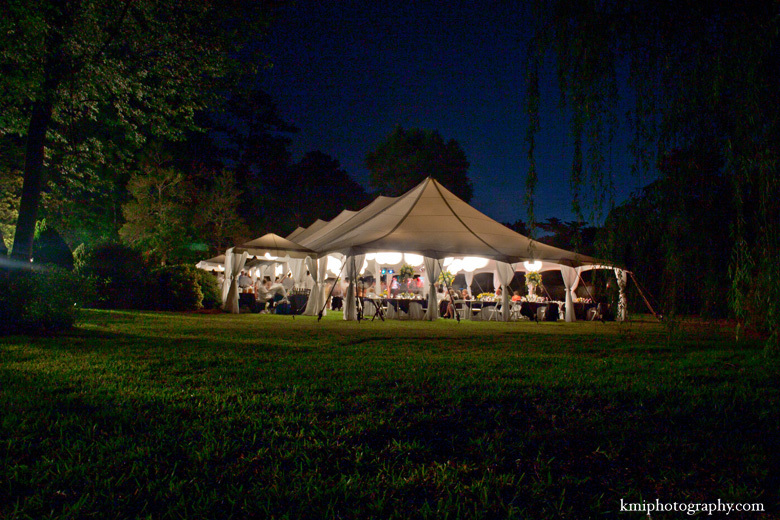 Special thanks to A Shindig Southern Event Planning, Jacobus Photography, 128 South Events and Catering, and Airlie Gardens. 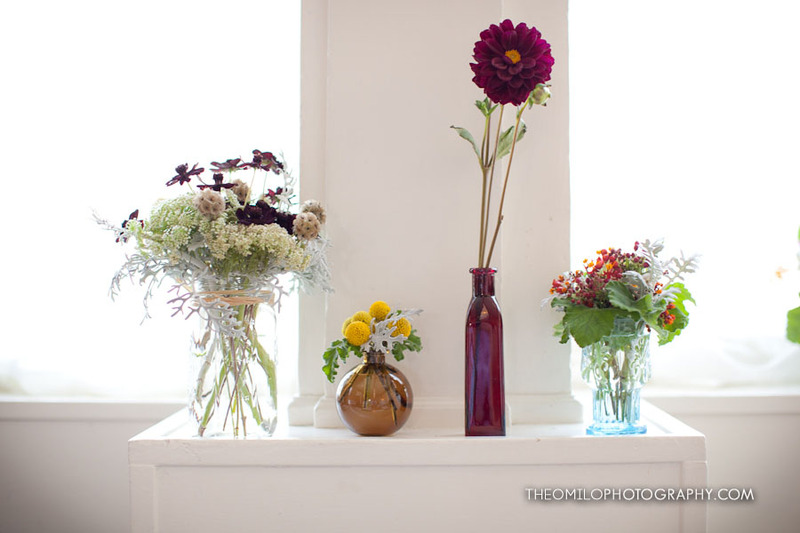 This sunny Spring wedding is so freshly picked from the garden, you’d never know the reception was held at the modern Cameron Arts Museum. After a beautiful ceremony under tall magnolia trees at Airlie Gardens, the couple wanted to keep the vibe natural and down home. 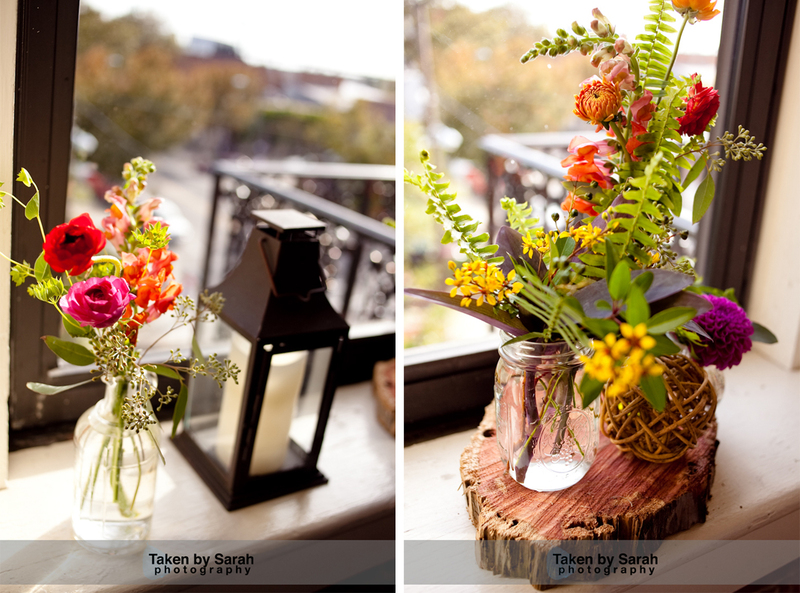 They asked a family friend to make their cake and chose wooden slabs, lanterns, and mason jars with brightly colored flowers to sprinkle their table tops. 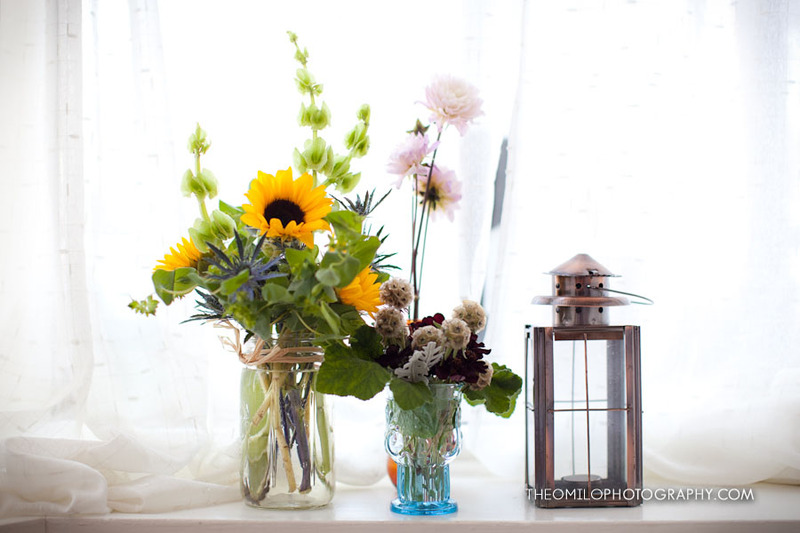 Their easy-going look is just so pretty that it excited Lemon and Lavender and was featured on their blog back in August. Congratulations to April and Steven! 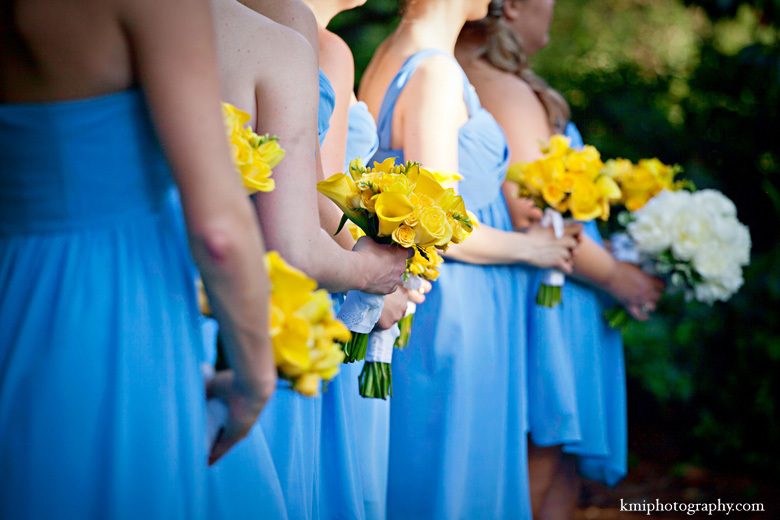 Special thanks to KMI Photography, Pine Valley Market Catering, Airlie Gardens, and the Cameron Art Museum. Jacqueline and Tim gathered their families and friends (and the Fiore Team!) for a weekend packed full of wedding and Bald Head Island fun. The couple was married in the old Bald Head Island Chapel and celebrated under the stars in a clear top tent. 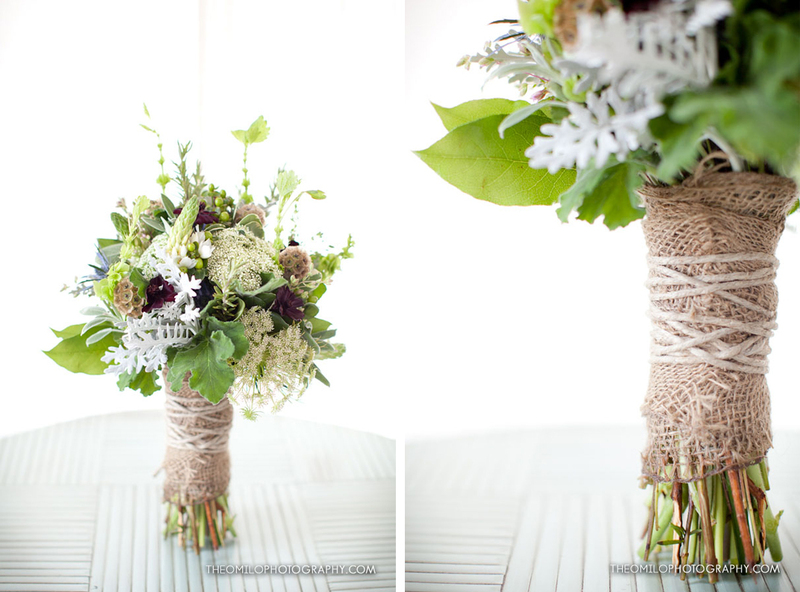 This wedding is a winning combination of rustic and nautical elements that can only be found on the East Coast. 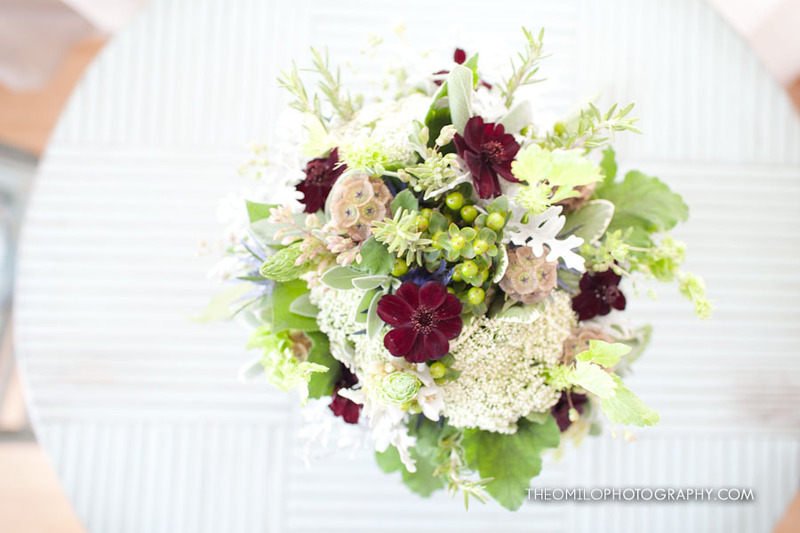 Blue skies, the crisp ocean breeze, and Old Baldy Lighthouse set the scene for wreaths of hydrangea, birch containers, a handmade sign, and a bridal bouquet full of bright viburnum. Congratulations to Jacqueline and Tim! 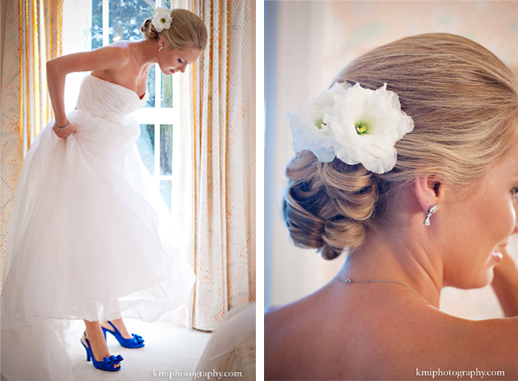 Thanks to Millie Holliman Photography and Shauna Harris at the Bald Head Island Club. go ahead, CLICK ON THROUGH! 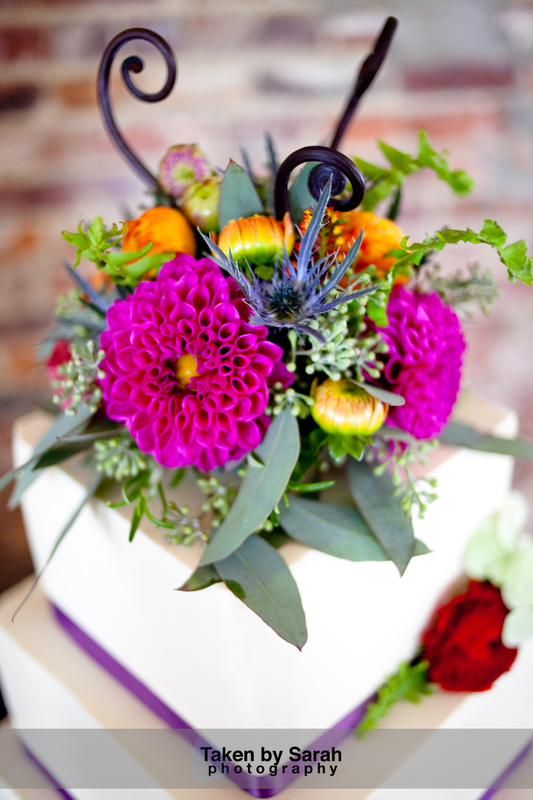 Copyright © 2019 Fiore Fine Flowers. All Rights Reserved.